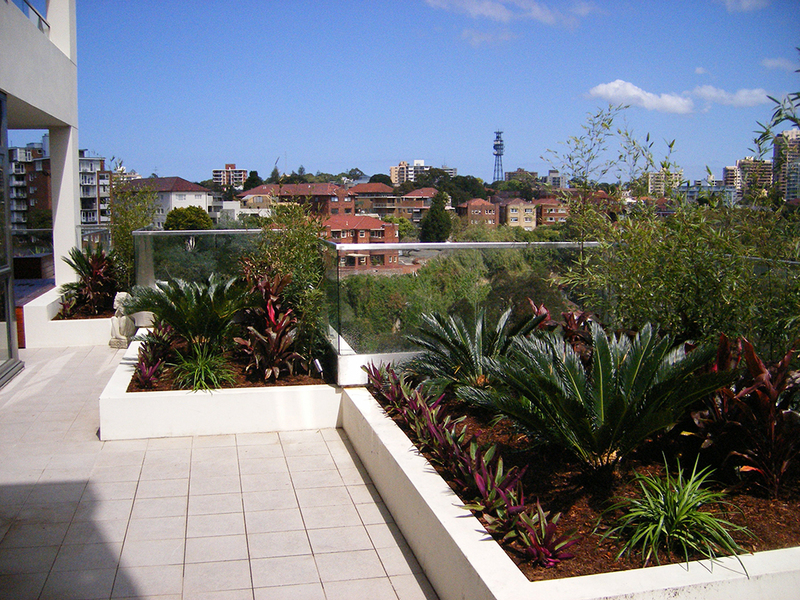 This spectacular Bellevue Hill apartment boasts a 120m/2 balcony with district views. 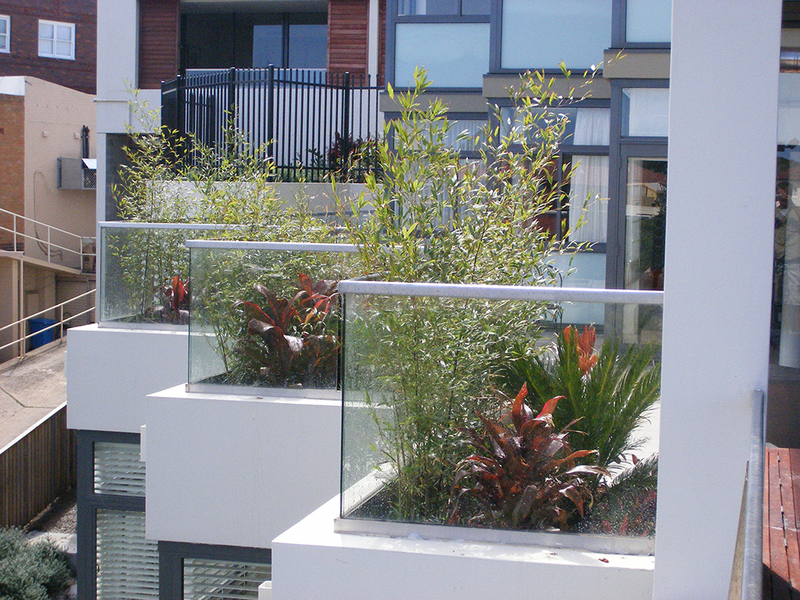 We were contracted to revitalise the balcony by removing all growing media from existing planter boxes to allow for failed water proofing to be repaired & upgraded. We then reinstalled protection board, drainage and geotextile along with new growing media. Finally extensive new planting was installed providing privacy to one aspect from neighbouring properties but maximising the district views. Extensive integration with the builder was required to ensure project deadlines were met whilst also avoiding conflicts during the various stages. Of note were the multiple trades scheduling to utilise cranes for all deliveries and waste removal.